First Fridays have blossomed into some of Indianapolis’ most exciting summer evenings for local art lovers. Originally established to bolster the city’s under-appreciated visual arts scene, First Fridays have grown to encompass a variety musical events as well. Two intriguing offerings will take place at Fountain Square’s Murphy Building this evening. The new Do317 Lounge will play host to local singer and multi-instrumentalist KO Noel. Formerly of Slothpop, KO has quickly established herself as one of my favorite new Indy artists of 2012. It has been fun to watch her confidence as a solo performer quickly grow since her Record Store Day debut at LUNA Records. Listen to “i will run while it’s dark” for a taste of the sensational vocal loops that will be on display in the intimate new space. The show is free, and Upland Brewery will be on hand serving frothy beverages, and work by local artist Mandy Steinbeck will be on display. Find more info at Do317. Just down the hall, local label Joyful Noise Recordings will double as a performance space for singer-songwriters Richard Edwards, of Margot and the Nuclear So and Sos, and Adam Kuhn. Edwards always puts on a terrific show. 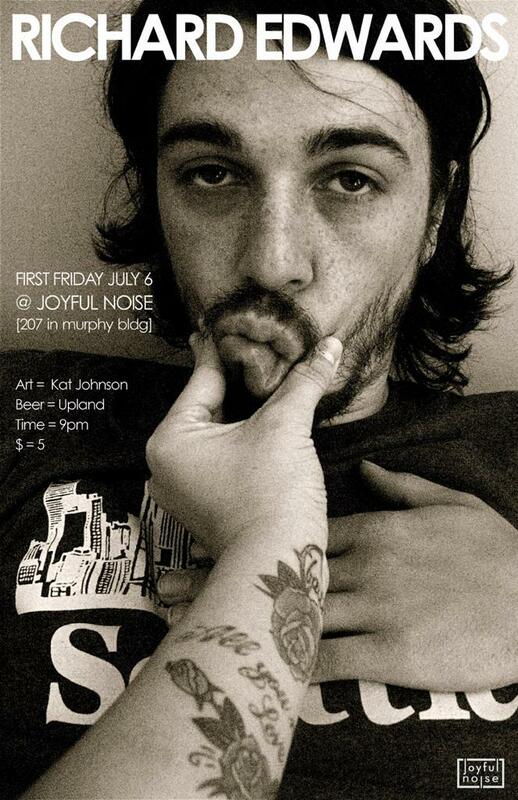 The show will also feature artwork from Kat Johnson. Check out Edwards’ acoustic take on Margot track “New York City Hotel” from 2010 below. Both shows kick off at 8 and space is limited. Visit Do317 for more info on the show.